Lea Goldberg (1911–1970), one of the most important women in contemporary Hebrew literature, wrote her last poems knowing she was about to die. Her intellect, wit, and artistry live on in a volume collected and published after her death by a good friend of hers, which is now available in English: On the Surface of Silence: The Last Poems of Lea Goldberg, translated by Rachel Tzvia Back (Hebrew Union College Press and University of Pittsburgh Press, 2017). The first funeral I went to in Israel was Lea Goldberg’s, on January 16, 1970, at Har Hamenuhot in Jerusalem. I had been one of many, many students in her first-year introductory course in the Department of General and Comparative Literature at Hebrew University, shortly before she became very ill. Jewish funerals I’d experienced in the United States tried to blur the gritty realities of death—with canopies, Astroturf, and floral arrangements as though for a garden wedding, orderly seating for the chief mourners, closed coffins, and an imposing machine (the deus ex machina, as a cousin once quipped) to do the dirty work of lowering the closed coffin into the earth in a stately manner—so I was shocked, then, by the brutal procedure here. (Many years later, I appreciate the bluntness.) The poet’s body, wrapped in a simple shroud through which its lumpy outline was visible, was carried to the graveside on an open stretcher and tipped directly into the freshly dug soil as the mourners stood around in ragged clusters of luminaries and mere students and admirers, all trying to avoid stepping on other graves until the unamplified ceremony, eulogies, and readings were completed. The cloth-wrapped body of the artistic and intellectual giant looked so very small and shrunken, as have all the bodies I have seen at Israeli funerals thereafter. Though her body was tipped into the earth, her legacy did not fall into the depths. Goldberg is remembered. Her teaching and her other writing, including beloved children’s books and some of her poems—indeed some of her more difficult poems—have been set to music by prominent composers/performers; everyone can hum them. (Israel, it must be noted, is a place where the boundaries between poetry and popular music are very fluid.) Her face has graced postage stamps, and now the Bank of Israel has put her portrait on 100 shekel banknotes. I expect she would have had something droll to say about that. 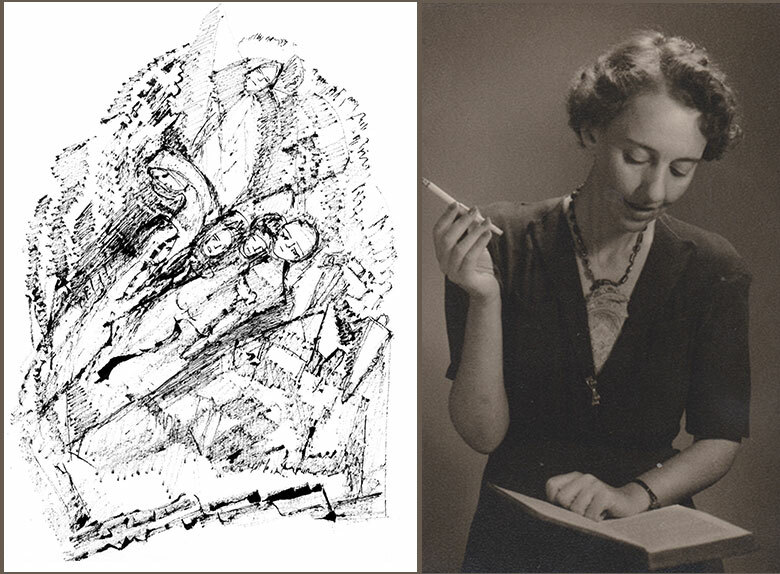 Many of the poems are what Goldberg, in her academic capacity, would have characterized as a psychomachia, a conflict of the soul, between her poetic and her mortal selves. In her day, she was very much part of the Israeli literary scene, though something of an outlier in the power structure of the first years of the state of Israel, when male poets like Natan Alterman, for example, had political heft. She was a woman who immigrated to Palestine in 1935 and not to a kibbutz, a spinster who lived with her mother and was always a bit dressier than most Israeli women, in a twin sets and pearls kind of way. She spoke elegant non-sabra Hebrew (her secondary schooling was at the Hebrew Gymnasium in Kovno, Lithuania, and her doctorate was in Semitic languages and German) in a husky vice roughened by the many cigarettes she smoked. A rainy morning. Don’t get up. Night passed quietly. Night passed. And now — what a beclouded spring! A morning like night. That’s good. Only the silence stifles. What a heavy spring! I told you: Don’t smoke. Who is talking to whom in that last line? The poet is addressing herself. Goldberg wrote her last poems in the knowledge she would die soon of cancer (not, as it happened, lung cancer). Many of the poems are what she, in her academic capacity, would have characterized as a psychomachia, a conflict of the soul, between her poetic and her mortal selves. when there is nothing to hide. She worked as an editor of children’s books at the kibbutz movement publishing house Sifriat Poalim and wrote theater and book reviews for Al Hamishmar and Davar—two now-defunct daily newspapers associated with branches of the labor movement. In some of her work she quietly advocated for values that seem to be vanishing now in Israel’s “beclouded spring,” like acceptance of the Other in her 1959 children’s book Flat to Let, but she was not an actively political figure. Rachel Tzvia Back’s translations are skilled, euphonious, well informed, and tactful. In the fictitious city people are walking to and fro. its lofty past cloaks itself. faded parchment of ancient prayer. In your lake – peaks. floats on the surface of deep silence. In addition to five volumes of her own poetry, Back has to her credit an earlier volume of translations of Goldberg’s work, Lea Goldberg: Selected Poetry and Drama (Toby Press, 2005), and a volume of translations of Ruebner’s poems, In the Illuminated Dark: Selected Poems of Tuvia Ruebner (HUC Press, 2014), which was nominated for a National Jewish Book Award, as well as an anthology (English version edited with Tal Nitzan) of poems against the Israeli occupation of the West Bank, With an Iron Pen (SUNY Press, 2009). Her translations are skilled, euphonious, well informed, and tactful. Goldberg had absolute mastery of classical meters and rhyme, which she displayed with bravura when she chose to. Though most of the poems in this volume are free-form, Goldberg could not resist an occasional end rhyme; but Back staunchly—and correctly in this context—resisted some temptations (which, admittedly, I myself might have fallen into) to shift meanings slightly in order to achieve passing sound effects. Don’t let the needlessly drab cover photo put you off. This book is a thing of beauty: the Hebrew originals face the translations on spacious expanses of good paper, there are a few of Goldberg’s own drawings scattered through the book, Back’s scholarly notes point readers to background information and subtleties that inevitably got lost in translation, and Ruebner’s “Afterword to the Original Hebrew Collection” offers a succinct look into the process of dealing with posthumous works. This is a volume to treasure: some of these powerful poems are read in Hebrew at funerals and memorials for loved ones in Israel to this day, and they will certainly be read aloud elsewhere now with their appearance in English. 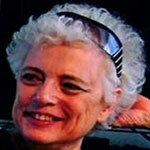 Vivian Eden holds a PhD in translation studies from the University of Iowa. The author of one book of poetry and numerous articles, she translates from Hebrew into English and a bit from French and is currently working on poetry and prose by Salman Masalha, who writes in both Hebrew and Arabic. Her day job is at Haaretz’s English edition, a daily newspaper published in Tel Aviv with the International New York Times.